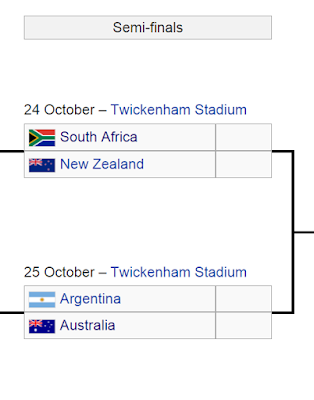 Semi-final #1: A close game for 50 minutes, then New Zealand to win by a converted try. Semi-final #2: Given their past head-to-head record and Los Pumas being familiar opponents of late, Australia to scrape through narrowly by 3 to 5 points. Despite the loss of Sio, Pocock and Folau. And despite their dampened confidence from the Scotland game. 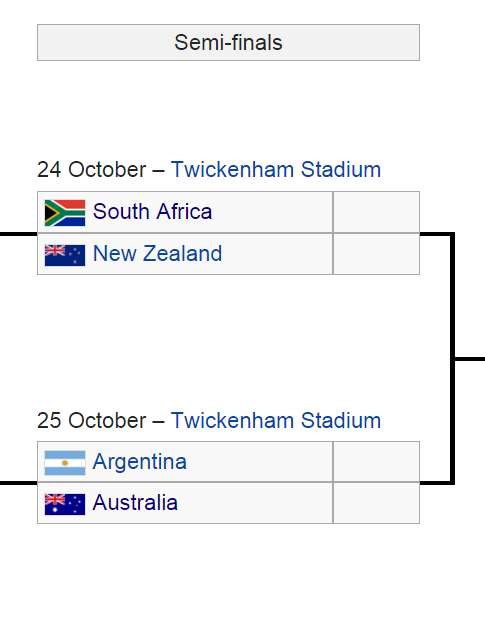 I really really really hope the All Blacks lose though.